^ a b Caddell, Sallie (March–April 2008). 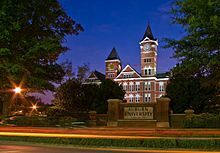 "Auburn University Aviation". AutoPILOT magazine. Archived from the original on December 23, 2008. Retrieved June 3, 2008. 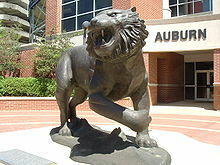 ^ Auburn University Campus Map – [oitapps.auburn.edu] click on each building for more information. 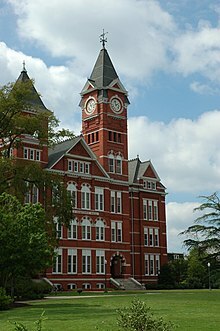 ^ "Harvey Updyke poisoned Toomer's Corner oaks 5 years ago". 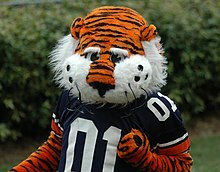 AL.com. Retrieved 2018-10-03.